As an organisation that works to builds good relations between people of different faiths and beliefs, we need to understand and respond to the societal context we work in. Below are some of the reports and papers we have commissioned or written to explore, clarify and better understand different elements of the context in which our work takes place. 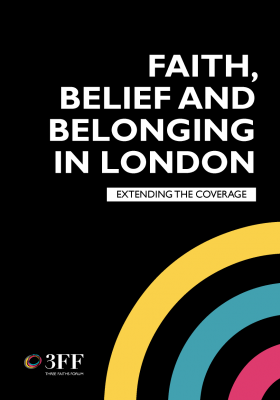 This briefing paper is the first in a series on how faith and belief relate to social exclusion and belonging in London. Our thanks to Her Majesty’s Lord-Lieutenant of Greater London’s Council on Faith, The Exilarch’s Foundation and the Department of Psychosocial Studies, Birkbeck, University of London, for their input and support which makes this series possible. This paper accompanied our Evening of Faith Recognition and Celebration, which recognises the contribution of local projects to improving the lives of Londoners of all faiths and non-religious beliefs. Throughout this paper, we mention projects which have received awards for their contribution to and for faith communities in London. Policymakers need to move beyond ‘multiculturalism’ and towards intercultural education which actually engages with differences between beliefs. Pupils need to be taught skills to deal with controversial issues surrounding belief effectively. 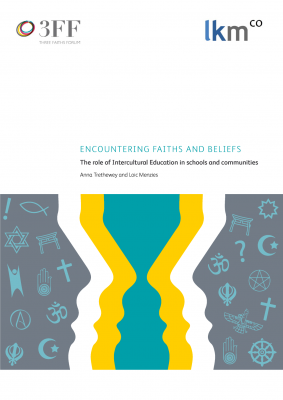 Education should tackle challenges different communities are facing, such as inter-religious tensions and prejudice. For more information about the role of Intercultural Education in schools, download our report Beyond RE: Engaging with Lived Diversity.